Today I made it to work and stayed the entire day without any troubles. Afterward there was a gathering at one of my co-workers houses. The “surprise” was revealed the week before break when they finally gave the two of us that are pregnant our invitations to our baby shower. 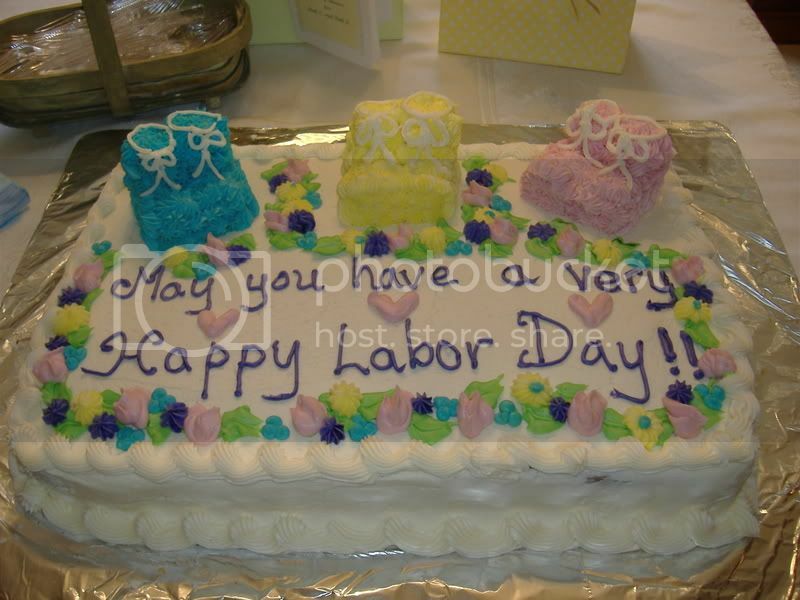 I never had a baby shower with NHL. Since I wasn’t working full time there were no co-workers to do anything and my family is totally against them (Jewish superstitions). Instead we had everyone come to celebrate NHL’s arrival at his bris. It was a lot of fun seeing almost everyone from school. Since it’s hard for me to waddle down all over the building I hardly ever see the preschool and elementary teachers. So it was a nice chance to see them since my days are definitely numbered at school. 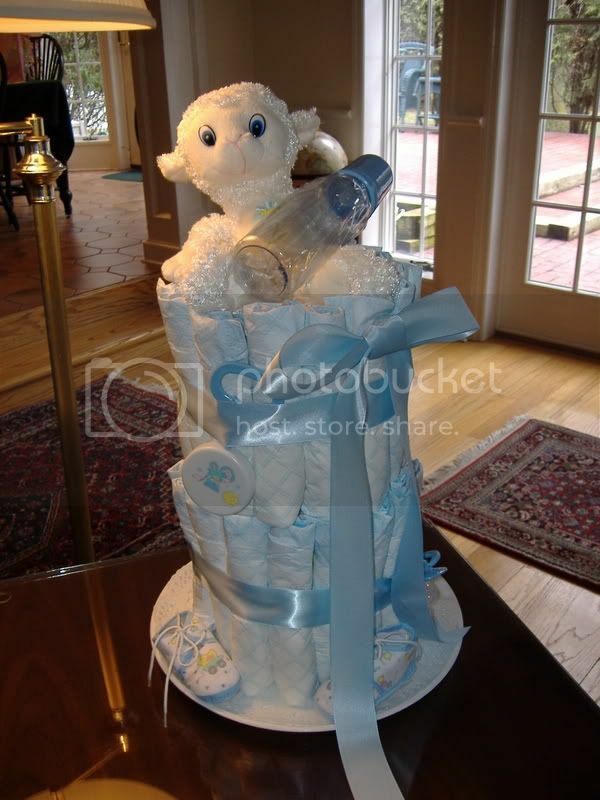 One of my co-workers made a great diaper tower/cake (see photo below) and another special person at school made the amazing cake (also below). In addition to this I received a great gift card for Target that will come in very handy. Here’s the cake that was made. The booties actually show where there were different cakes hiding underneath. It was yellow, white and chocolate. « Deal or No Deal? !